In the heart of the Wye Valley, The Riverside Hotel is a family run business, situated by the new and ancient bridges spanning the River Monnow. We have 15 high quality ensuite bedrooms, a conservatory lounge and large function room perfect for meetings, weddings and parties. 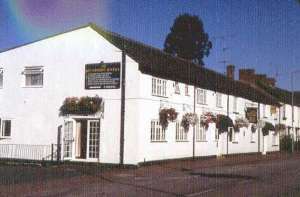 Our restaurant has an excellent reputation with our local clientele and we are perfectly located for the Forest of Dean and the Brecon Beacons, appealling to business travellers and tourists alike. There is an additional 10.00 fee per night if dogs are staying. Children welcome from any age. If coming from South, come off the A40 at the Rockfield/Skenfrith exit, the sliproad turns into Cinderhill Street, the hotel is just on the left. If coming from the north take the same exit, this is after the main Monmouth exit, come up sliproad, turn right and follow road down to mini roundabout, turn left into Cinderhill Street, hotel is just on the left after the bridge. From the bus station, turn right down Monnow Street and cross over the old Monnow Bridge. Turn left on Cinderhill Street, hotel is 50 yards on right hand side.